There are many canopy tours in Costa Rica but Sky trek operates on a larger scale and in harmony amidst the pristine primary cloud forest. 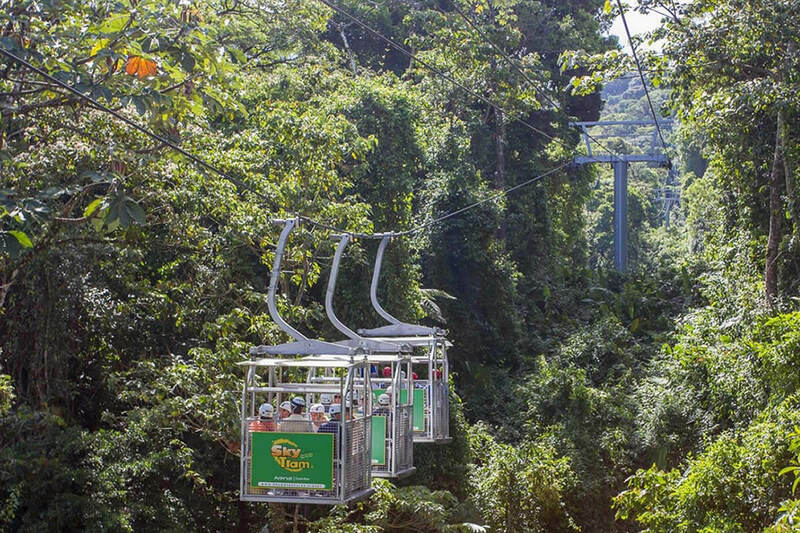 Sky Trek has some of the longest cables in the country, well-maintained trails throughout the cloud forest, suspension bridges, and one of the safest harnessing and pulley systems that enable people of all ages safely fly across the jungle! 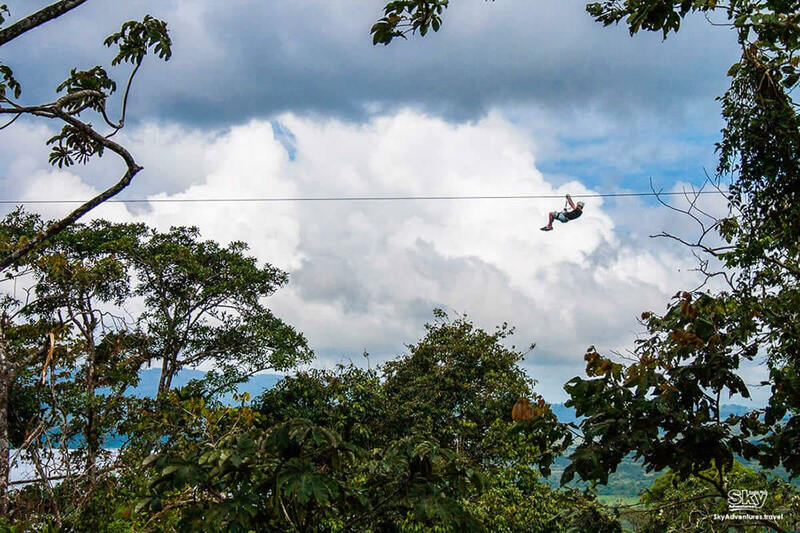 This famous canopy tour consists of 8 zip line cables with a combined length of almost 1.8 miles (3 km), and range in distances fro 131 to 2,460 feet (40 m and 750 m) and heights that range from 49 to 328 feet (15 m to 100 m). 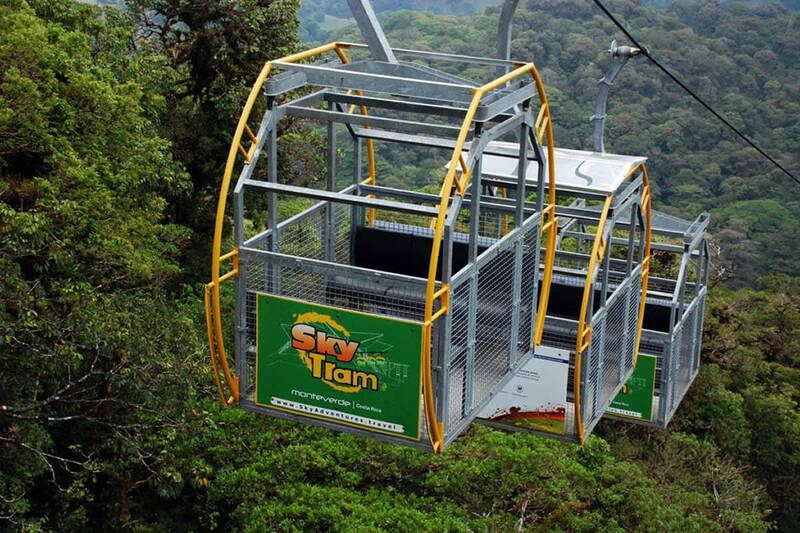 Sky Trek is also a great opportunity to have panoramic views at two observation towers that offer views to the Pacific on a clear day it is also possible to see the northern lowlands that stretch all the way to the Caribbean. The Sky Trek tour generally takes about 2 hours. Maximum weight allowed for Sky Trek is 217 lbs. 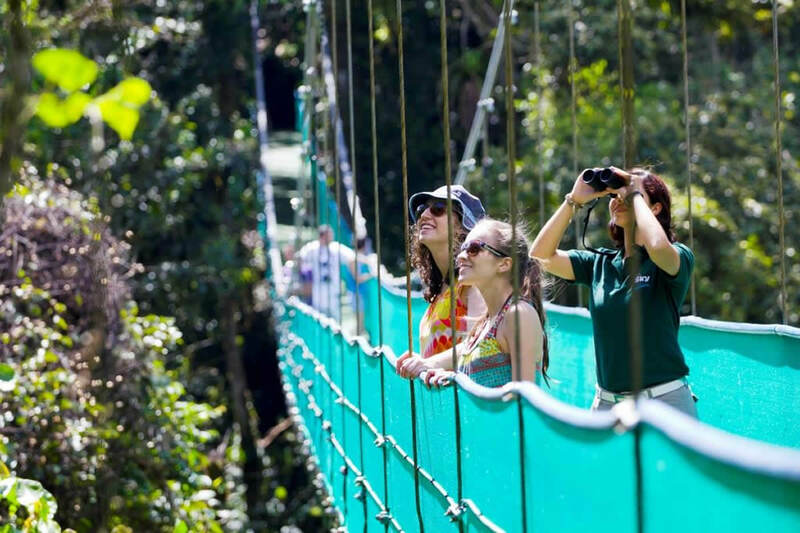 The Sky Tram ascends along a beautiful cloud forest ridge and allows for stops along the way to observe plant and animal life and learn from an experienced guide. The duration of the tram takes about 20 minutes before arriving at an observatory platform. If you are not continuing on to the Sky Trek cables you will return via the Tram. This activity is required for those who wish to do the Sky Trek. 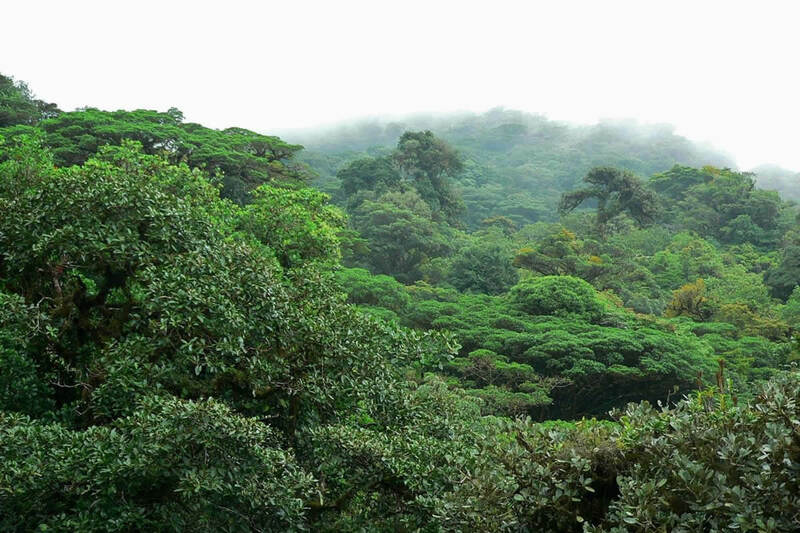 A wonderful opportunity to enjoy the flora of the cloud forest at a slower pace. 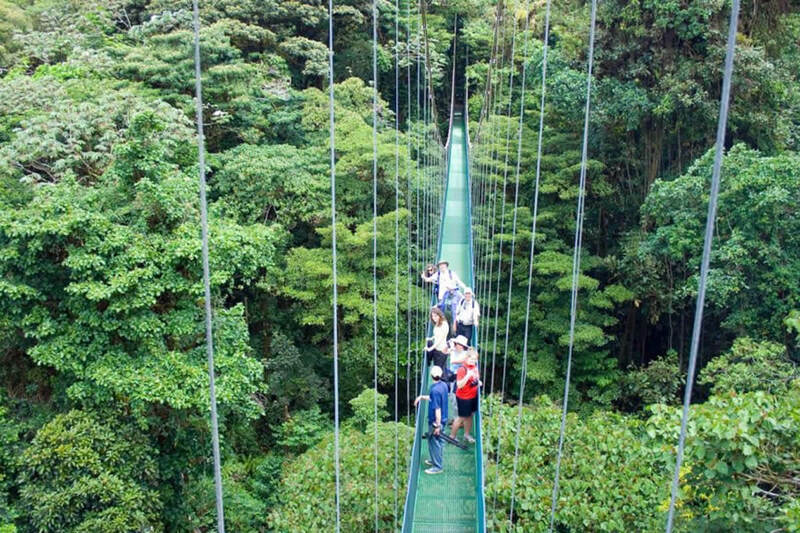 The suspension bridges vary in length, and each offers a different view of the canopy. Sky Adventures recommends long pants. Shorts are fine as well but the harness fits around your legs and waist so it is better to have a protective layer, therefore long shorts are recommended. Full-size rain jackets are available on site if you forget to pack your jacket. Transportation is available from all Monteverde area hotels except the Mirador Lodge and Vista Verde Lodge. Professional guides, all safety gear, entrance fees, round trip transportation from the local hotels in Monteverde (optional). Closed-toed shoes (hiking or tennis), comfortable clothes, long pants or long shorts, sunscreen, and a raincoat.